Judith and Nicola talk about the emotions they have allowed to block their own abundance historically and the whole raft of reasons why they believe clients do the same. Nicola starts off the debate with money being a game, brainwashing in schools, and how some are not prepared to forego time and fun for later reward. Nicola’s in full preparation mode for what is fast becoming her annual trip to Australia. She’s staying in Sydney with brother Alex but she’s discovered she’s speaking in Brisbane where she’ll be staying in an Airbnb for a few days. Fortunately, the flights in between are very affordable. Judith has some astrological news today, Uranus arriving on 6th March in her own star sign of Taurus, a once in lifetime happening as the last time this took place was 84 years ago. Plus, yesterday, 5th March, Mercury Retrograde began. Judith explained astrologer Sally Kirkman’s view about what’s best to do during MR and how to handle it. By the time the show gets aired, we will be half way through MR! Nicola was inspired to enter a few writing competitions with her sci-fi vampire story and spent Sunday writing. She was then inspired by watching American Gods to think about becoming a screenwriter and immediately started to download huge amounts of content and stories, and do research on screenwriting and scripts. Judith suggests Nicola was channeling and explains how something similar happened to her this week too which in turn inspired this week’s Focus. 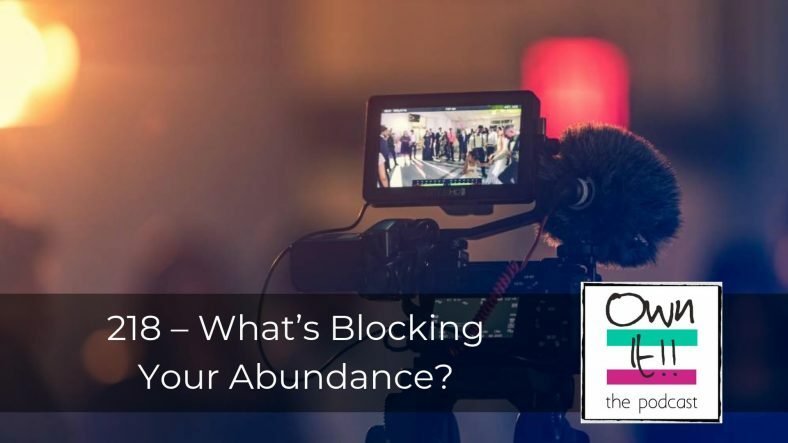 Judith and Nicola talk about the emotions they have allowed to block their own abundance historically and the whole raft of reasons why they believe clients do the same. Nicola starts off the debate with money being a game, brainwashing in schools, and how some are not prepared to forego time and fun for later reward. Judith’s reasons include low vibrations caused by many and various things and people, clutter, and lack of scarcity in the household, plus what will people think and who do we dare not overtake etc. Listeners are invited to share their own thoughts on this topic, as ever, in our Facebook Group. Nicola chooses Ideas and Judith picks Prosperity. Judith updates Nicola with the two widely differing valuations she’s received for her flat in Worthing and explains her lender’s Right to Consolidate which means she might have to consider selling all four flats in order to take the profit from any one. Nicola is impressed by her new find in Neil Gaiman, and Judith tells Nicola about Allison, the podcast’s latest Patreon, and describes the trigger to her deciding to become one. She now takes the podcast up to 6 Patreons and a total of $23 per month.